Leonardo da Vinci built a wooden robot. That’s pretty much all you need to hear about Monstro Mechanic #1 to know whether or not you’ll be at all interested in it. I actually saw a promo for this back in another AfterShock book (I can’t remember which one), but I only skimmed past it, so the title and the robot were the only things that stuck with me. I wasn’t even necessarily interested until I got three or four pages in and saw, yes, that was indeed Leonardo da Vinci. From there, I realized he must be the one who built the robot, settled in for a good read, and that is indeed what I got. The characterization of da Vinci is easily the best thing about this book. 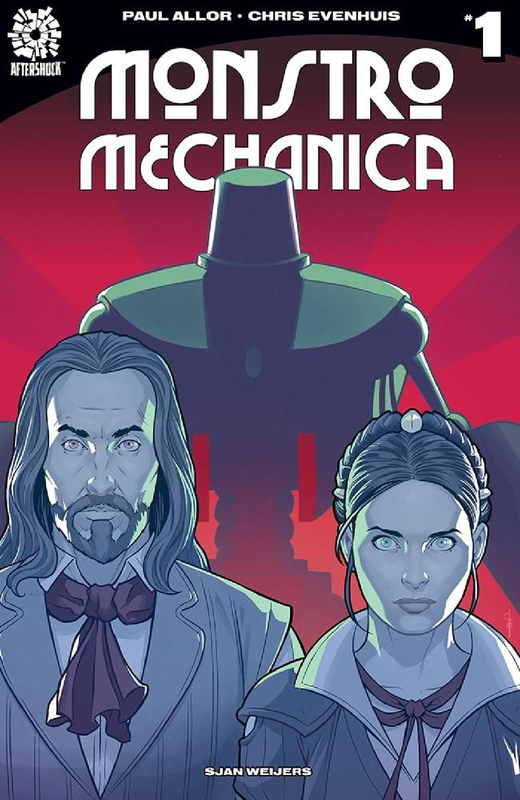 Dissimilar to the likes of the Assassin’s Creed series, where he’s portrayed as whimsical and driven by healthy curiosity, Monstro Mechanica’s da Vinci is shrewd is every sense of the word. He’s also shown to be a more than capable fighter, and his pursuit is more one of power through knowledge rather than strictly the latter. And to top it all off, his art is only talked about briefly, including what amounts to a one-liner at one point. But, in context, it works super well. There’s just something about adding an air of cynical competence to the already larger than life aspects of Leonardo da Vince that makes him an inherently compelling character. However, that would all be wasted if his apprentice Isabel were little more than the clichés of brash, headstrong, and desperately wanting to prove herself. But, she’s not. She’s perhaps the first two but definitely not the last. Instead, Isabel’s big difference to da Vinci is predominantly a matter of perspective and opinion. Is she less experienced? Yes, technically. But, she also isn’t nearly as locked into a certain mindset as he is. She might do something on impulse, but she has the capacity to reflect on it and realize she was in the wrong. And without giving too much away, as much as she respects and trusts da Vinci, she’s not blind to the idea that he might actually be wholly in the right. All of this creates a great dynamic between the two. Especially because they don’t spend the whole issue professing their different philosophies at one another. Da Vinci does a little bit, but he’s also the mentor, so that makes sense and is to some degree expected. But, the meat of their differences is seen through their actions. The art here is really good. Da Vinci’s design is perfect in both capturing his historical likeness and selling him as the badass he is in this book. Additionally, the palette is pretty impressive. The colors all have a nice richness to them, and each scene is carefully constructed to emphasize specific compliments and/or contrasts. And, it’s detailed enough that even characters with incredibly similar styled and colored clothes, hair, skin, etc. look especially distinct from one another. Look, like I said before: the premise alone should tell you whether you’ll like this or not. And if you don’t think you will, I’m sorry. 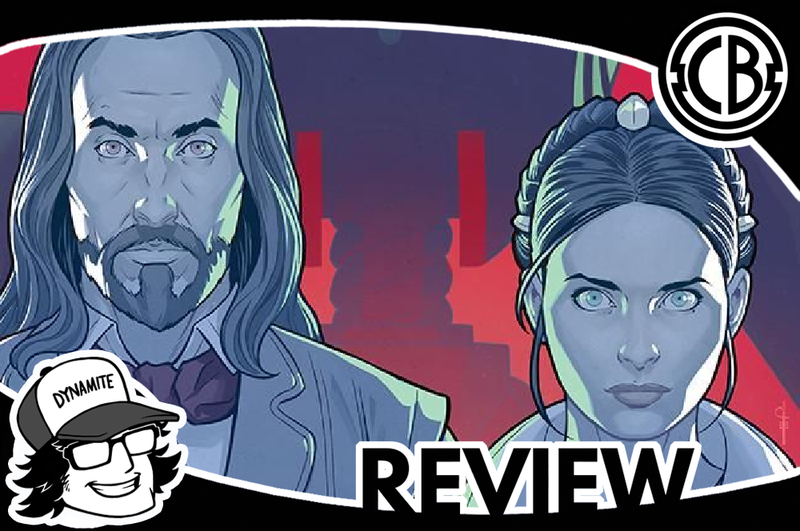 Because, Monstro Mechanica #1 is perhaps the best first issue I’ve personally read from AfterShock (granted, there are a couple bigger names I haven’t checked out yet). I definitely recommend picking this one up for yourself once it releases in December.